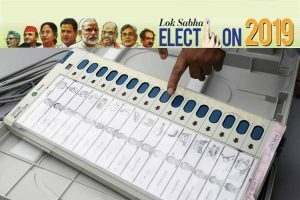 During the last week’s visit of the Election Commission to Jammu and Srinagar, leaders of almost every party, including NC, PDP, Congress, CPI (M) and other regional political parties, had urged the commission to hold simultaneous polls for the Assembly and Lok Sabha. Reacting sharply to the Election Commission on Sunday not announcing Assembly elections simultaneously with the Lok Sabha polls in Jammu and Kashmir, former chief minister and National Conference (NC) leader Omar Abdullah said that by not holding assembly elections in the state “PM Modi has surrendered to Pakistan, to the militants and to the Hurriyat”. 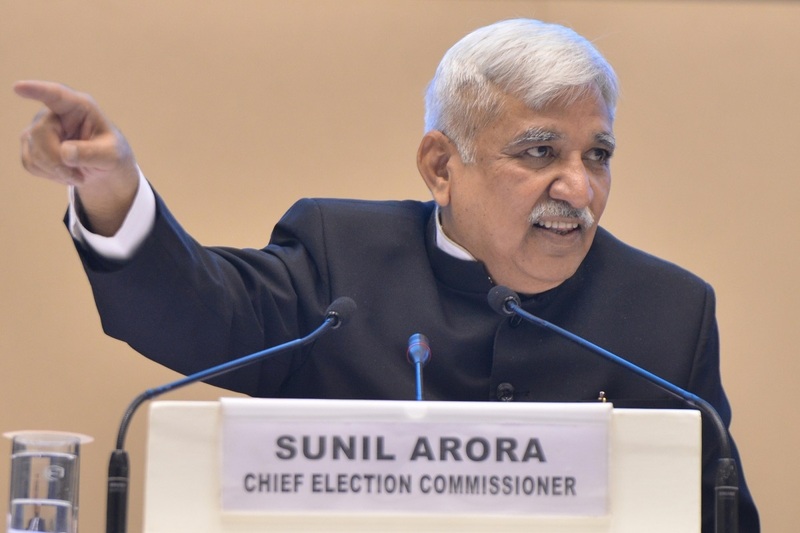 In a series of tweets immediately after the Chief Election Commissioner, Sunil Arora, announced that the security scenario was not congenial for holding the Lok Sabha and Assembly elections simultaneously in J&K, Omar tweeted, “PM Modi has surrendered to Pakistan, to the militants & to the hurriyat. Well done Modi Sahib. 56 inch chest failed. #slowclap”. “Balakote & Uri are not symbols of PM Modi’s handling of national security, J&K is and look at the mess he has made there. The abject surrender to anti-India forces is a crying shame”. Balakote & Uri are not symbols of PM Modi’s handling of national security, J&K is and look at the mess he has made there. The abject surrender to anti-India forces is a crying shame. “With the amount of international attention elections in J&K attract I never thought PM Modi would be willing to confess his failure on a global stage but we all make mistakes & that was mine”. With the amount of international attention elections in J&K attract I never thought PM Modi would be willing to confess his failure on a global stage but we all make mistakes & that was mine. What happened to @rajnathsingh’s assurance to Lok Sabha & Rajya Sabha as well as to the all party meeting recently in Delhi that all forces would be made available for simultaneous polls? “First time since 1996 Assembly elections in J&K are not being held on time. Remember this the next time you are praising PM Modi for his strong leadership”. First time since 1996 Assembly elections in J&K are not being held on time. Remember this the next time you are praising PM Modi for his strong leadership. “In 2014 we had Lok Sabha elections on time & assembly elections on schedule even after the most devastating floods. Shows how badly the BJP & earlier the BJP-PDP mishandled J&K”, Omar tweeted. In 2014 we had Lok Sabha elections on time & assembly elections on schedule even after the most devastating floods. Shows how badly the BJP & earlier the BJP-PDP mishandled J&K. PDP leader Mehbooba Mufti in her reaction said; “It is very dangerous to keep the state in the hands of unelected representatives of the centre. It will further complicate the problems in the state and the decision of the election commission needs an immediate review”. “Decision to hold only Parliamentary elections in J&K confirms sinister designs of GoI. Not letting people elect a government is antithetical to the very idea of democracy. Also a tactic of buying time to disempower people by pushing an agenda that suits their ulterior motives,” Mehbooba tweeted. Decision to hold only Parliamentary elections in J&K confirms sinister designs of GoI. Not letting people elect a government is antithetical to the very idea of democracy. Also a tactic of buying time to disempower people by pushing an agenda that suits their ulterior motives. Delaying Assembly elections “sows seeds of suspicion” against the centre, she added.